We use the commercial version to move inactive users to another OU after a certain period of time. We want to tighten the time frame and want to exempt certain "emergency" accounts from getting disabled. Is this possible? I see you can filter users, but for inclusion not exclusion. Admittedly I may be missing something since we are fairly new to the tool. What is the current build version of Netwrix Auditor (NA) running in the Environment. 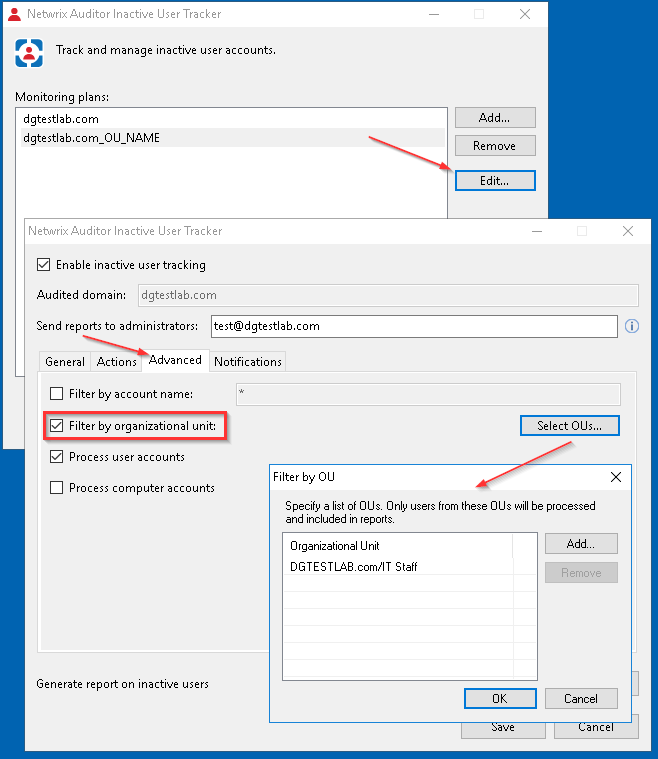 This file contains a list of user accounts to be excluded from tracking and automated deactivation.